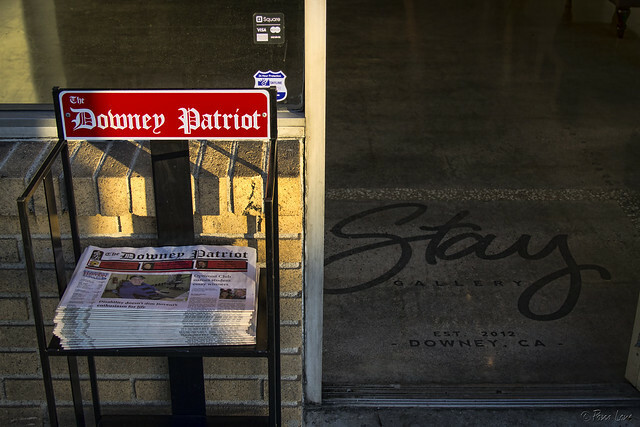 I read recently that a local restaurant had requested that the Downey Patriot (our weekly and free local newspaper) no longer be distributed in their restaurant, so the newspaper rack was removed. 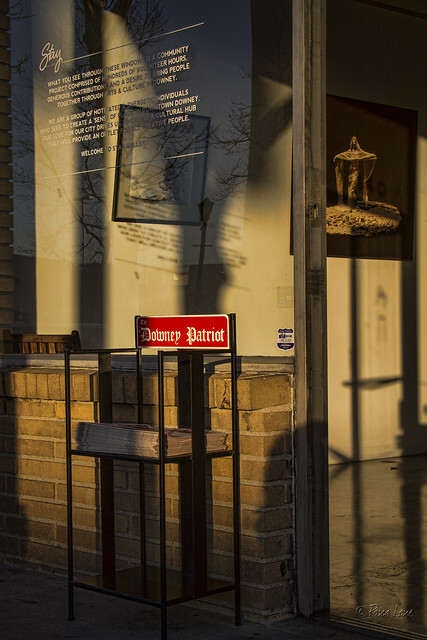 And then I read today that the Downey Patriot is now available outside of the Stay Gallery in downtown Downey. It kind of adds to the small-town ambiance that is starting to develop in this area. And on a totally off-subject note, let me just say how much I love the extra hour of daylight at the end of my work day!